A Serious Dog Toy For Serious Chewers! 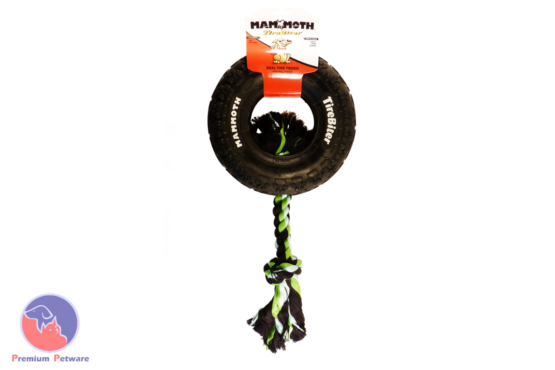 Mammoth Tirebiters and made real tyre tough, with specially formulated natural rubber and 2 ply nylon. These toys are designed for large dogs and are ideal for tossing and games of tug of war.